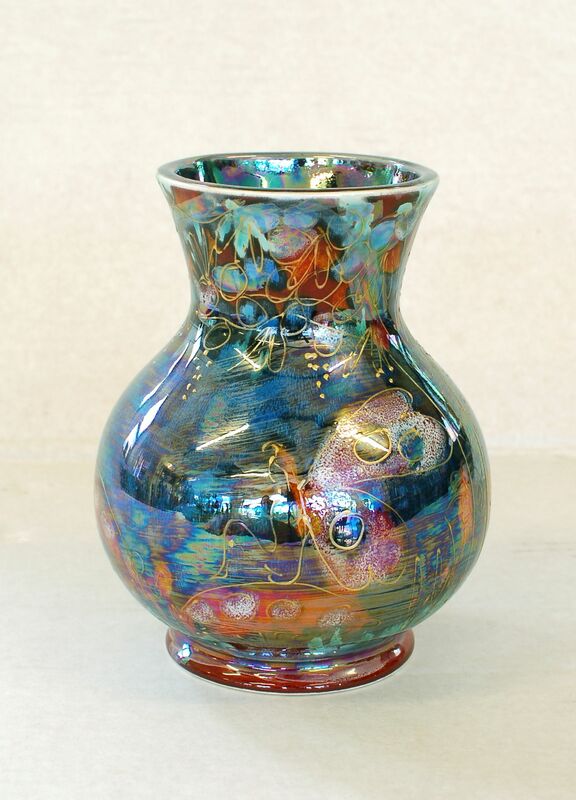 Fairy Dust Lustre Medium Trojan Vase. 14cm high. Hand painted. Carlton Ware script mark, hand painted, Made in England, with Anita Harris art pottery mark on base.